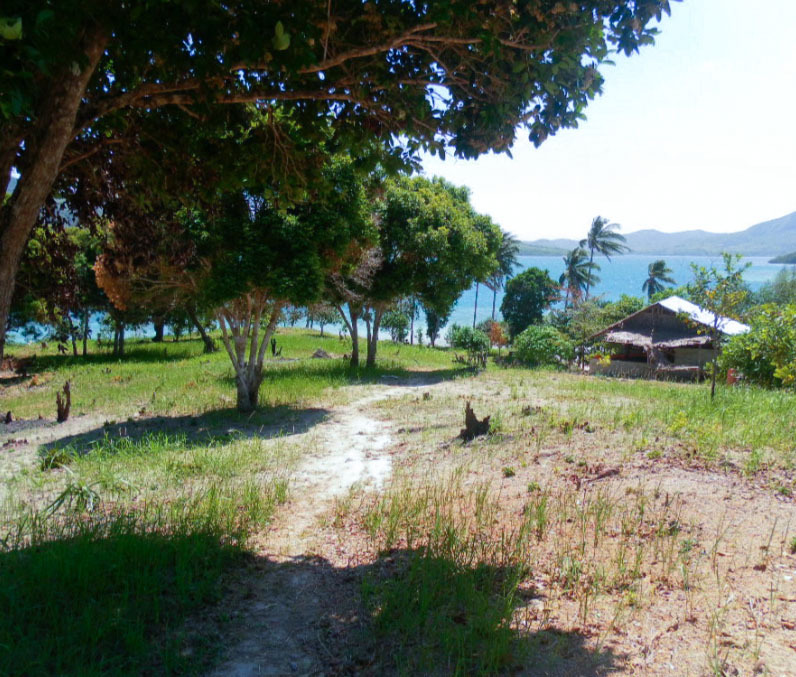 Before 2011, many of the island’s trees were cut down to make wood or burn charcoal. The deforestation caused soil erosions and displaced birds and insects. These animals rely on plants and trees for food, shelter, and breeding grounds. Over the years, we have already planted 68,000 plants from 52 species. This is an ongoing effort to ensure the healthy growth of vegetation and restructuring of soil. Mangroves are not only home to marine life; they also prevent sediment runoff and increase shore stability. 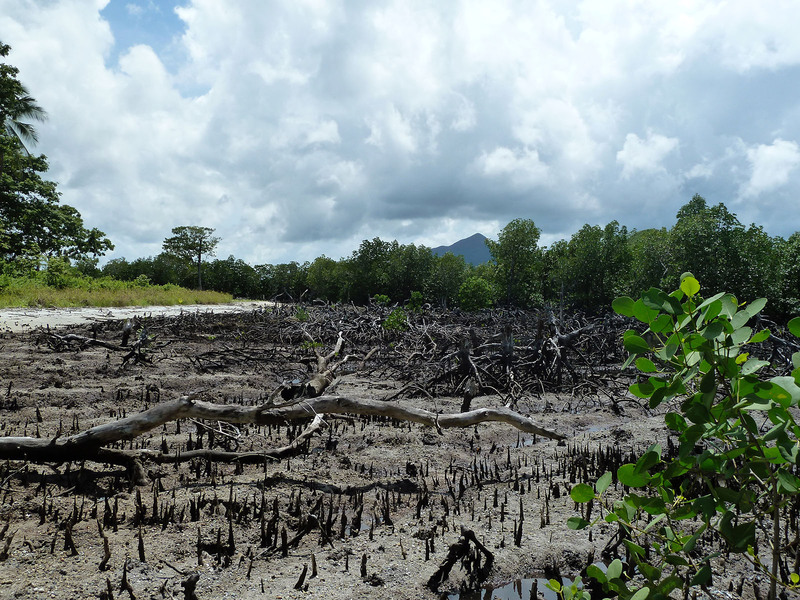 When we first took over the island, we found some areas in a deplorable state like 2.5 hectares of the mangroves. 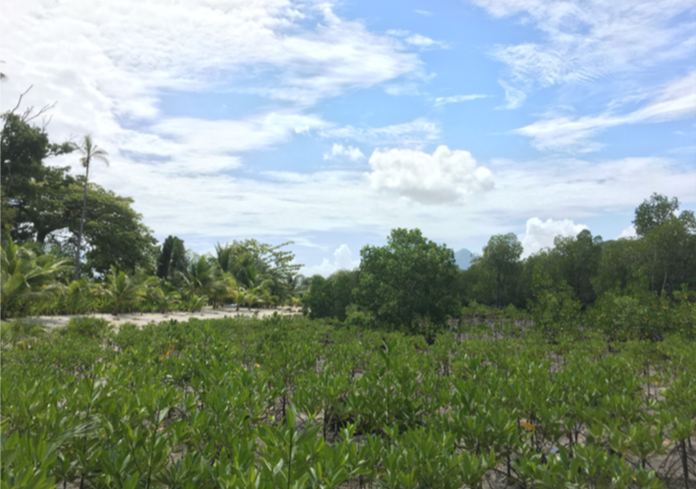 Today, our mangroves on Pangatalan Island are diversified with 12 species of plants. They contribute to regenerating the fish population as we regularly observe juveniles from various species: parrot fish, snappers, wrasses, cardinals, and others. To facilitate mangrove regrowth, we collect propagules around the island and plant them in suitable areas to restore. To date, 6,000 units have been planted from different species such as Rhisophora sp. and Sonneratia sp. Our solar power system has a 20-kilowatt capacity that generates enough electricity for household appliances, water heaters, and equipment for our projects. Our buildings are made of concrete and traditional roof materials. Made on the island, all our wooden furniture were designed and created using recycled materials from old dismantled buildings. A gravity flow pipe supplies water to the whole island. We keep water consumption to a minimum, and waste water is treated by a septic tank before hitting the ground. We grow what we eat! 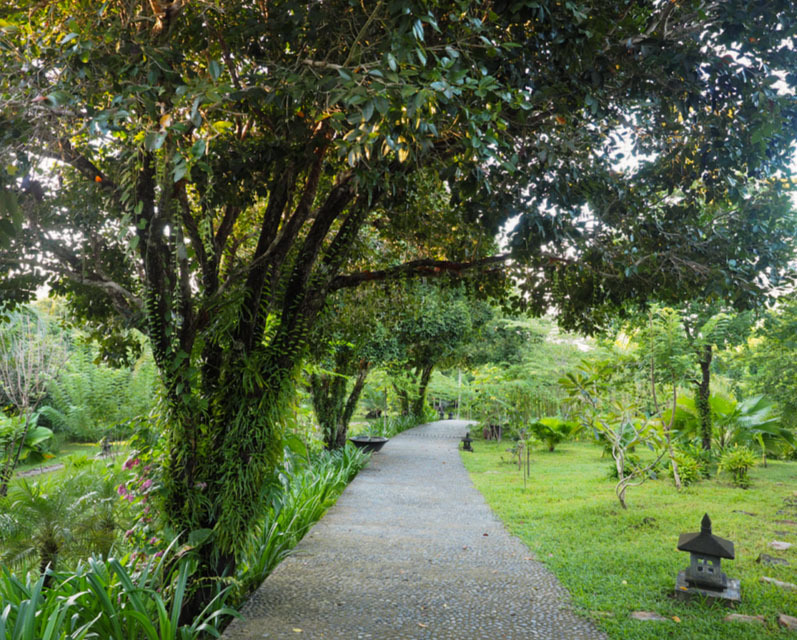 We have a 1.2-hectare farm that gives us a fresh supply of fruits, vegetables, poultry, and livestock.